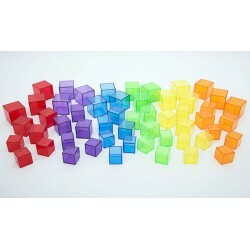 It allows to generate a great diversity of activities with themes such as reading, writing, science, mathematics, geometry, plastic arts, etc. 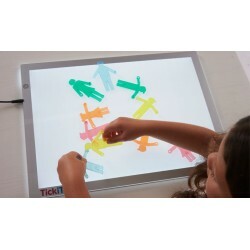 Favors the attention or concentration of our little ones thanks to the soft brightness and simplicity of its design. 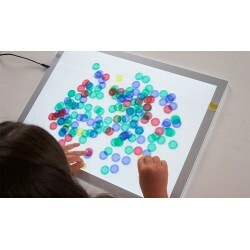 Stimulates children's curiosity and creativity. 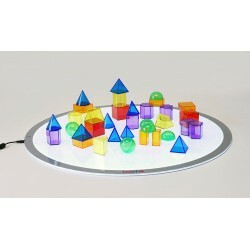 Encourages free play and imagination. Allows the stimulation of our senses, since it is multiplied by the opportunity to experiment with it, thanks to the activities carried out. Generates a magical environment for learning. 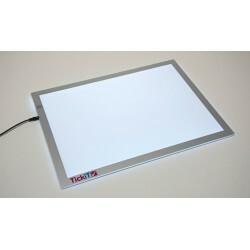 What activities can be done in the light panel? 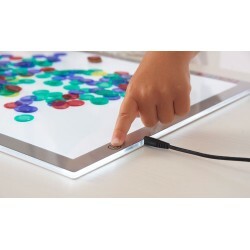 Shadow theater game: our light panel will become a perfect stage for stories told with shadows, with silhouettes cut from non-translucent cardboard to generate the effect of shadows. Sensory reading and writing, using a flat container as large as possible resembling a transparent plastic tray we can place inside materials such as sand or salt and with our hands and the hands of our children build shapes, including letters including words. Experiment on transparent trays with different materials such as rice, lentils, chickpeas. You can create different sensorial trays. You can make patterns that the child should follow with stones. Play with transparent colored papers, and superimpose them to see which colors are formed. Experiment with coloured ice cubes. 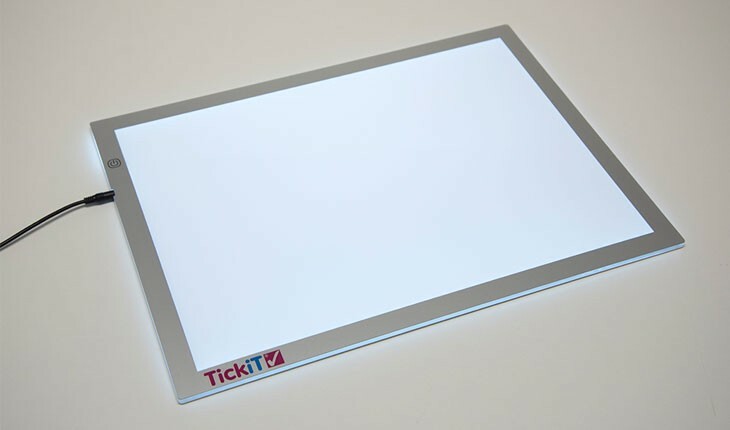 To turn on the table after connecting it to the power source, simply press once the power button to illuminate our table with the weakest brightness level, pressing twice will illuminate with the average brightness of the LEDs, pressing the button three times to illuminate with its maximum brightness.